The 30th annual Hawai’i CC and UH Hilo Earth Day Fair and Conservation Career Day is customarily held at UH Hilo on the Friday prior to Earth Day. Topics include environmental conservation, natural resource awareness, conservation career pathways and other issues that impact our global community. 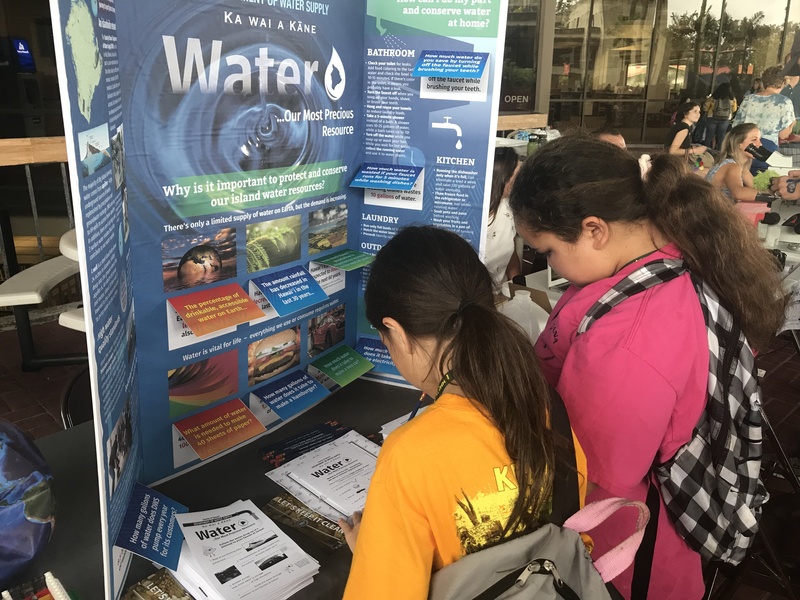 DWS sponsored an educational display providing the public with information on the island’s water supply and conservation tips.